We hope that you find this Think Money Credit Card review of benefit. It explains such things as who such a card may be suitable for, how to apply and what it can be used for. 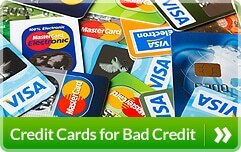 It is one of a number of credit cards that may be suitable for some people with bad credit here in the UK. If you are at least 18 years of age and are showing on the electoral role and have a record of being able to deal with credit then you may find that you could be accepted. How do you apply for a Think Money Credit Card? You will be pleased to hear that, like a lot of credit card providers, you can find out before applying if you are going to be accepted by using thinkmoney’s QuickCheck facility without it showing on your credit file. 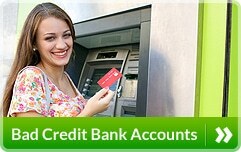 The Think Money Credit Card application is quick and easy to complete. You can apply online when you will have to provide some personal information such as your name, the address(s) that you have lived at for the last two years, date of birth, residential status, contact details, employment status, annual income and your bank details. How much will your credit limit be? 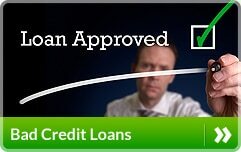 The credit limit varies from £200 to £1,500. The interest rate is currently 39.9% APR Representative (variable). Obviously, this is a high rate of interest but it is similar to the rate charged by some other bad credit credit card providers. It can be used to buy goods and services online, over the phone and in high street shops. It is contactless so can be used in this way for transactions up to £30 each. You can also use the card to withdraw cash at many ATMs. How can you manage the account? One of the ways to manage your Think Money Credit Card that may appeal is to use the mobile app via your smartphone or you can go online. You can also receive free text alerts.